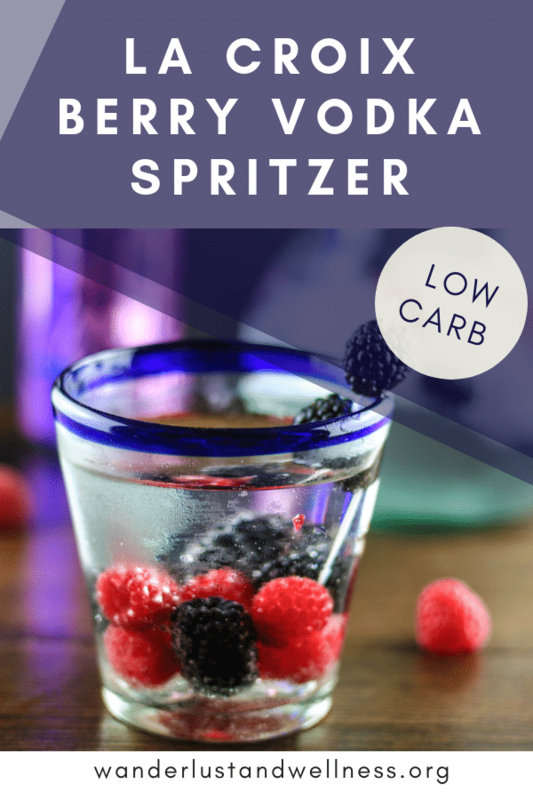 A refreshing summer drink – this La Croix Berry Vodka Spritzer uses just three simple ingredients and is both low carb and low sugar. We love La Croix cocktails, especially in the summer. When it’s hot, I like light drinks that have a fresh flavor profile. 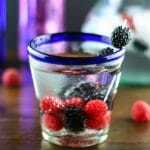 Combining fresh berries with sparkling water is always my go-to for a bubbly poolside drink. I’m not a huge drinker, but I do occasionally like to enjoy a cocktail every now and again. Normally I stick with wine, but sometimes I prefer a lighter, less sugary drink, especially in the summertime. Flavored vodka and carbonated water (or club soda) is the perfect summertime drink without the sugar hangover the next day. If you’ve never tried any of the LaCroix sparkling water flavors, you are missing out. My kids aren’t fans of LaCroix sparkling water but I find that it gives me just the right amount of flavor and carbonation when I want those two combinations. So why not use LaCroix sparkling water to make your favorite vodka spritzer?? Is La Croix low carb or low sugar? Yes, La Croix is simply sparkling water infused with various flavors. It is low in carbs and low in sugar. You can also view the carb and sugar count for this recipe specifically in the nutritional chart below. If you’re rockin’ Paleo, Whole30, Keto, or just like to limit your sugar intake, this is your drink! What if I can’t find raspberry vodka? No raspberry vodka? No problem! Simply use regular vodka and the La Croix Berry sparkling water. The berry flavor will be more subtle but will still be there. You won’t find an easier cocktail than this spritzer! Enjoy these other vodka spritzers!